ROLLS-ROYCE PHANTOM COUPE 2008 up There is 1 product. 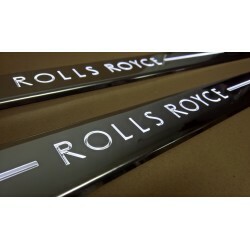 Exclusive stainless steel door led sill plates high quality with illumination for ROLLS-ROYCE PHANTOM COUPE 2008 up. Tuning is an endless improvement.